"Embrace the importance of now, and refuse to allow the lull of comfort, fear, familiarity, and ego to prevent you from taking action on your ambitions...The cost of inaction is vast. Don't go to your grave with your best work inside of you. Choose to die empty." Most of us live with the stubborn idea that we'll always have tomorrow to do our most important and valuable work. We fill our days with frantic activity, bouncing from task to task, scrambling to make deadlines and chase the next promotion. But by the end of each day we're often left asking ourselves "did the work I do today really matter?" We feel the ticking of the clock, but we're stuck in first gear, unsure of the path forward and without a road map to guide us. Here's the hard truth: sooner or later all of our tomorrows will run out, so how we choose to spend today is significant. Each day that we postpone difficult tasks and succumb to the clutter that chokes creativity, discipline, and innovation results in a net deficit to the world, our organizations, and ourselves. 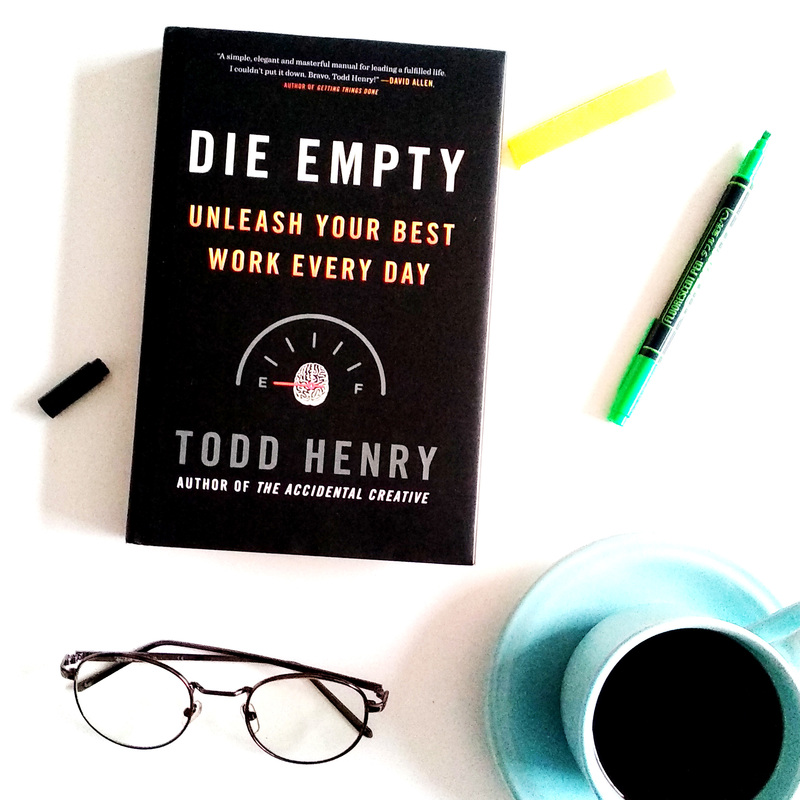 Die Empty is a tool for people who aren't willing to put off their most important work for another day. Todd Henry explains the forces that keep us in stagnation, and introduces a process for instilling consistent practices into your life that will keep you on a true and steady course.